I nearly didn’t post this, since it didn’t really work! All my previous “culinary experiments” have been passable or better, but this attempt was barely eatable. 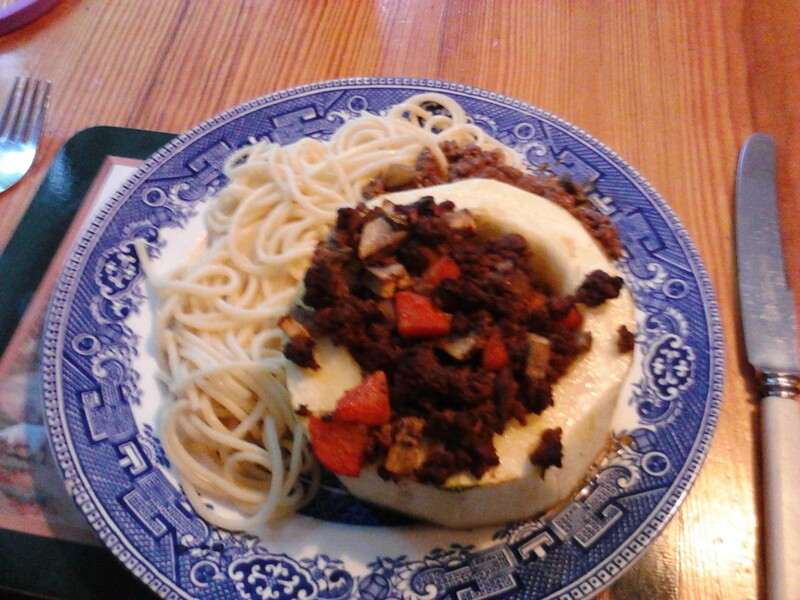 The marrow was under-cooked and the mince was well-cooked. Anyway, on with the story! First, I cooked the onions in a frying pan with a little olive oil, and added the mince, browned it off, and added some stock. The usual thing. I cooked some carrots in another saucepan and added them to the mince, and added some sliced mushrooms towards the end. Secondly, I sliced the marrow into two 10 centimetre sections and peeled them and removed the seeds leaving two rings of marrow flesh. Some people cook marrow with the skin on, like courgettes, but I’m used to removing the skin. Some time I will try them with skin on. OK, as you can see from the above the marrow rings look very white, whereas they should have been a translucent green. Indeed they proved to be under-cooked. The mince stuffing was very dry on top and it should have been moist. So, where did I go wrong? Firstly, I didn’t look up a recipe before I started to cook, since I thought that I could wing it. Bad idea! Secondly, had I read a recipe, I would have wrapped the stuffed marrow in foil before I put it into the oven. (Although this other recipe doesn’t use foil. It does cook at a slightly lower temperature.) I would probably still have created the rings, just for the look of it, but many recipes recommend halving the marrow to make a boat shape. Another options would be change the stuffing to something moister eg with added rice. 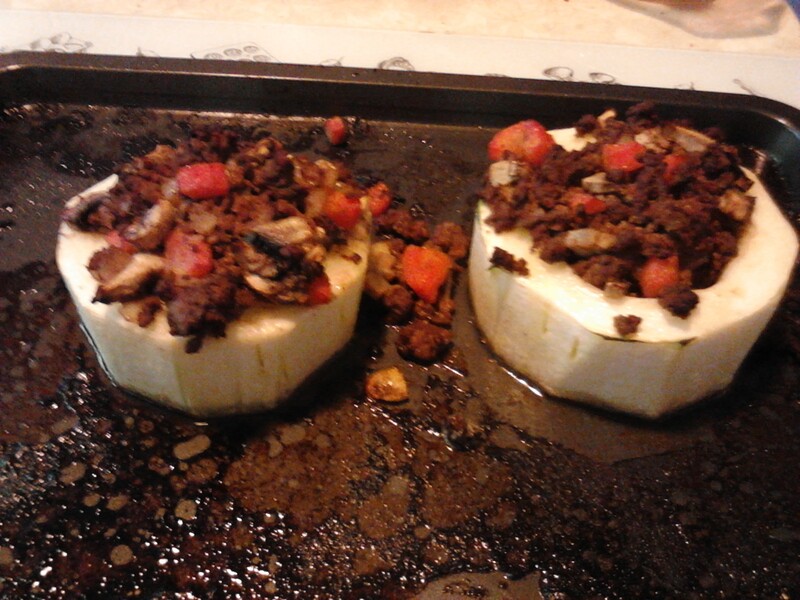 This entry was posted in Cooking and tagged Marrow, Mince, Stuffed. Bookmark the permalink.